A fun addition to our Bungle Jungle Children's Cotton Fabric Panel. 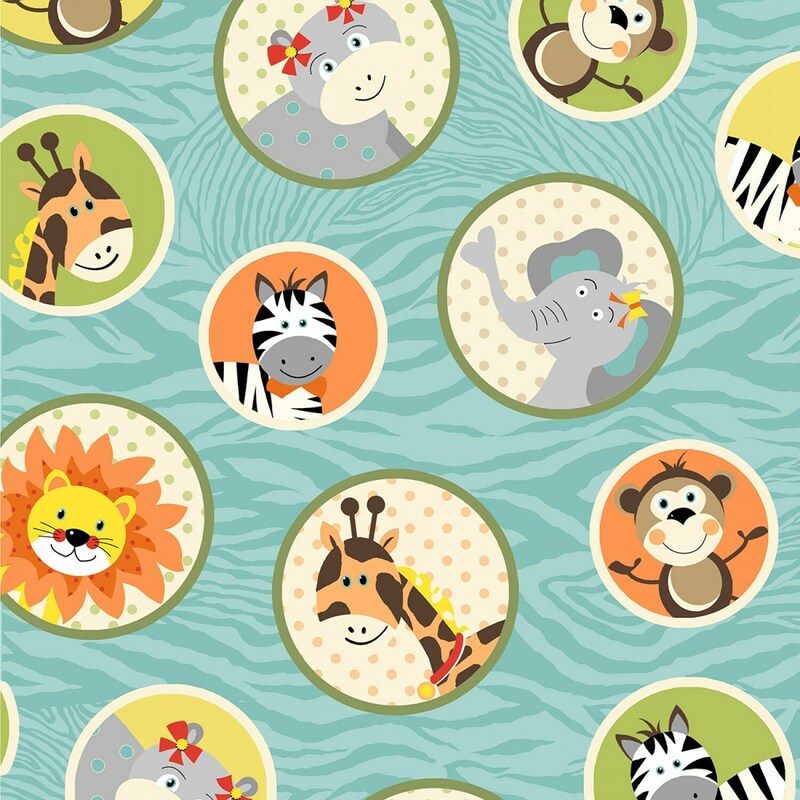 Adorable blue background with circles showcasing fun jungle animals. Girraffes, lions, monkeys, zebras all showing off their fun smiles. Add the fun coordinating cotton fabric panel to make a sweet baby gift. All fabric from The Quilted Nursery Fabric Store is cut directly from the bolt in continuous yardage. We now offer fractional yardage cuts for your shopping convenience. Same day shipping except for Sundays and Holidays. All shipping overages refunded on shipment of fabric. Very cute, works great on a baby quilt.